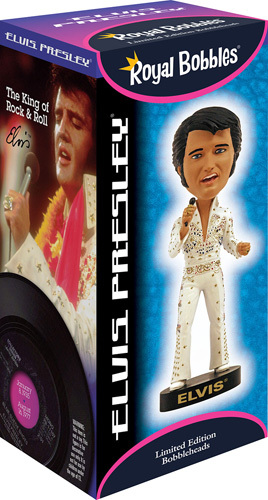 This beautiful Elvis piece, officially licensed by Elvis Presley Enterprises, is the highest quality piece that we have ever produced. In this design, he is wearing his famous American Eagle jumpsuit. Each stone and stud is meticulously hand-sculpted and hand-painted. It comes in a colorful collector box, just in time for the Aloha in Hawaii anniversary in January!